There are as many characteristics to a lean organization as there are lean experts. Everyone has a unique definition, a personalized approach, and an underlying set of core values. In my near-30-year-career in manufacturing, however, I’ve found there are six attributes universal in businesses that embrace true lean thinking: They are laser-focused, aligned from the boardroom to the shop floor, relentless in their pursuits, fully engaged, team-oriented, and sustainable. The first five are not exactly news. In fact, they are the underpinnings to general business success altogether. But the definition of the last trait, sustainability, often elicits livelier debate. Indisputably, there is a long list of synergies between what it means to be a ‘lean’ and ‘green’ manufacturer. Both strive to reduce waste. Both promote resource productivity. And both hinge on continual learning and a common understanding. The primary difference lies in the priority. Lean organizations are fixated first and foremost on delivering value for the customer. 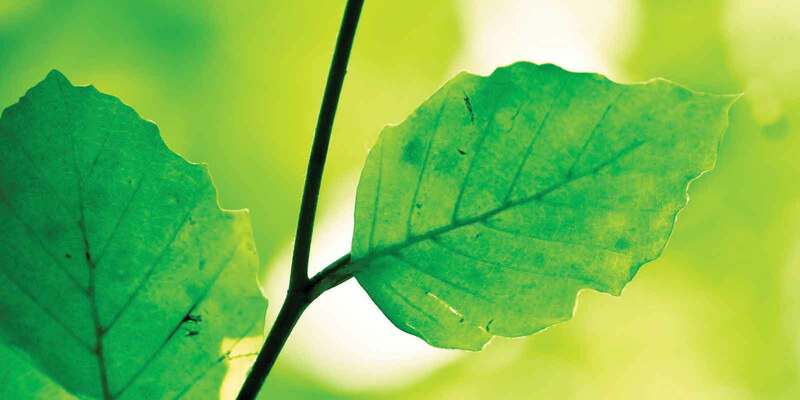 Green organizations, meanwhile, are dedicated to managing their environmental impacts. That’s why hundreds of manufacturers nationwide are now beginning to integrate the two concepts into single, unified ‘true north’: Lean and green. In real business terms, it fits with the premise of the ‘triple bottom line’ — people, profit, and planet. Some have advocated adding a fourth pillar — purpose — to create a more seamless organizational alignment, which further lends to the argument that lean and green belong together after all. Think of it this way: Lean is your eyesight — the practical vision of where you need to go and how your organization will operate to get there. Green is the lens through which you are seeing, using traditional lean thinking to bring into focus wastes you may otherwise overlook. There are seven environmental wastes that touch virtually manufacturer: Energy, water, materials, garbage, transportation, emissions, and biodiversity. All of these consume significant resources, add cost, and detract from margins. This is doubly true in a changing regulatory climate that is attaching new premiums to how these wastes are managed. Just think of the federally-mandated carbon tax. Being a lean and green manufacturer, though, means not compartmentalizing environmental wastes from the basic lean wastes we’ve all come to understand. Reducing the number of product defects, for example, also reduces the materials consumption and mitigates the energy required to produce a replacement part. The elimination of excess inventory is no different. It cuts back on the power needed to store that inventory, and, in turn, generates positive ecological and financial benefits. Here at Canadian Manufacturers & Exporters (CME), we have developed a Lean & Green 101 workshop to help companies understand this correlation and begin to use a modified set of tools, from environmental value stream mapping techniques to energy flow charts, so that employees and managers alike can recognize opportunities for improvement and identify appropriate performance indicators. The perennial king of lean, Toyota, has long embraced this symbiotic relationship. Earlier this year, Toyota Motor Manufacturing Canada (TMMC) was even named one of Canada’s Greenest Employers. As part of its environmental management system, or EMS, TMMC embeds environmental engineering specialists across each of its departments to find efficiencies in its manufacturing operations that lead to a reduced environmental footprint. This system also includes in-house and external audits, as well as an annual sustainability report to foster public commitment to measured progress. Today, across its three Ontario plants, TMMC uses returnable packaging for 99 per cent of its North American-sourced parts, and has been successful at recycling 96 per cent of its physical waste. Furthermore, it boasts a heat recovery steam generator that produces enough electricity to power the equivalent of 7,000 houses. So, why do they do it? Why does Toyota invest millions of dollars per year in bettering its environmental stewardship? The answer is in the nucleus of the lean and green philosophy: It’s equal parts good business practice and the right thing to do. No organization gets there overnight. As every lean purist will attest, it is about the journey. And to help guide you along that journey, there are four benchmarks by which to measure your headway. The first is where the overwhelming majority of Prairie manufacturers find themselves. In this stage, companies seldom monitor their environmental performance, and have limited understanding of how lean thinking and green practices can co-exist. The second stage is characterized by a basic knowledge and implementation of lean tools, coupled with an awareness that the elimination of environmental wastes may lead to enhanced customer and organizational value. This is where many enterprises turn to groups like CME for training. The third stage is perhaps the most difficult to reach. Here, companies fully embrace the notion that lean and green practices do add significant customer and organizational value. While lean and green practices are commonplace, they are generally viewed and executed separately, with KPIs managed primarily at the operational plane. And, the final level is the complete symbiosis between lean and green. These high-performing manufacturers are aware of the direct and indirect impacts stemming from their actions, and have well-established mechanisms in place to continuously improve their performance. KPIs are monitored alongside organizational objectives. Employees are conscious of their role in the greater environment, and are proactively engaged in improving processes. The real question is: Why do lean and green remain separate in your organization? Is there a good reason? Or is it because you are avoiding the clear signs the marketplace is giving you? Lean and green is about each of the 4Ps. Ignore one, and you ignore them all. It’s your job to bring them together. Darryl Minty is certified as a Lean Master Black Belt, and serves as interim vice president of Saskatchewan for Canadian Manufacturers & Exporters.